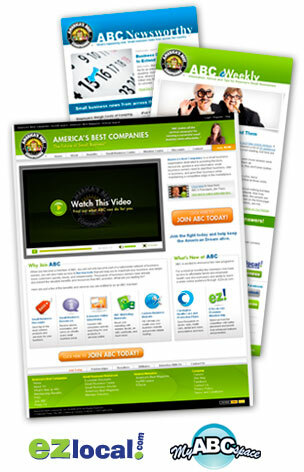 America's Best Companies is a national small business organization dedicated to helping small business owners grow their business. We do this by providing the tools, resources, guidance and information small business owners need to be competitive in today’s marketplace. Our membership is made up entirely of small business owners. When you advertise with us, you have direct access to the key decision makers in small businesses all across the country. This media kit details all of the different ways to communicate your message to our members. We send all of our members and subscribers our eWeekly newsletter once a week, our Newsworthy newsletter once a week and a discount newsletter once a week. Our website is a powerful resource that draws not only our members, but a wide array of other visitors that are interested in the issues that affect small business.